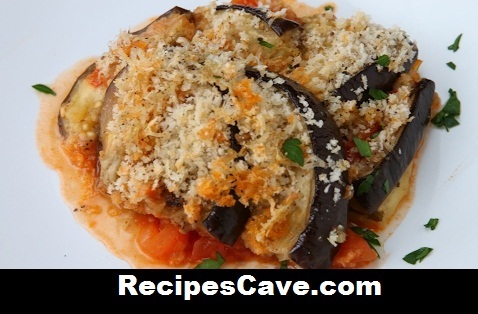 Hasselback Eggplant Parmesan Recipe - here is how to cook Hasselback Eggplant Parmesan. Sprinkle salt, pepper, garlic, and olive oil and cover with foil and bake for 50 minutes until eggplant is tender. Place the panko mixture on top of the eggplant and bake uncovered for another 5 minutes. Or until the breadcrumbs are golden brown. Cut into your desired piece and enjoy. your Hasselback Eggplant Parmesan Recipe is ready to taste.